Editor’s Note: Due to the nature of the research being incomplete with data, we have identified this as an example of bad science. What would have made this better science is if the original researchers could have isolated the “problems with emotions” to specifically the weather without any other militating factors. Mental health challenges arise due to a number of reasons, but one that may not immediately come to mind is climate change. 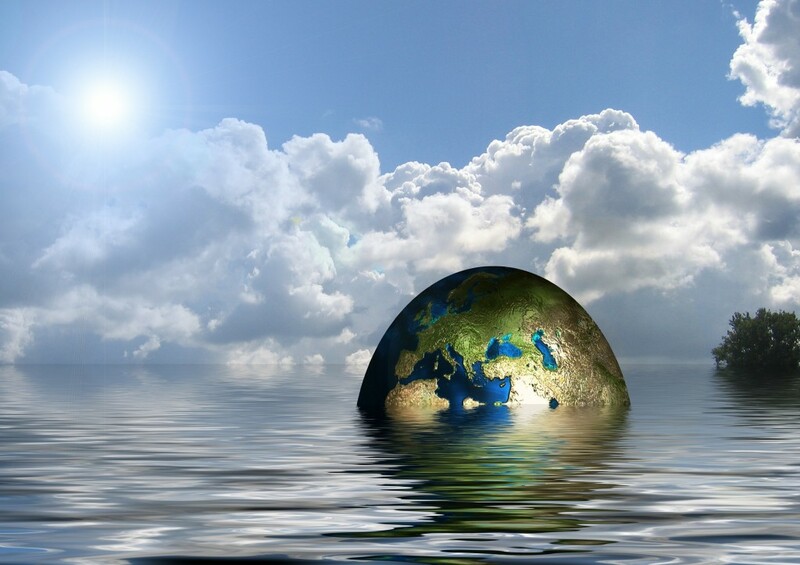 According to a new study, it is very possible that global warming may eventually play a role in the mental health of individuals struggling to survive on our dwindling planet. For the study, researchers looked through a decade’s worth of data from the U.S. Centers for Disease Control and Prevention’s Behavioral Risk Factor Surveillance System, which asked two million people to self-assess their state of mental well-being. The data was collected between 2002 and 2012. 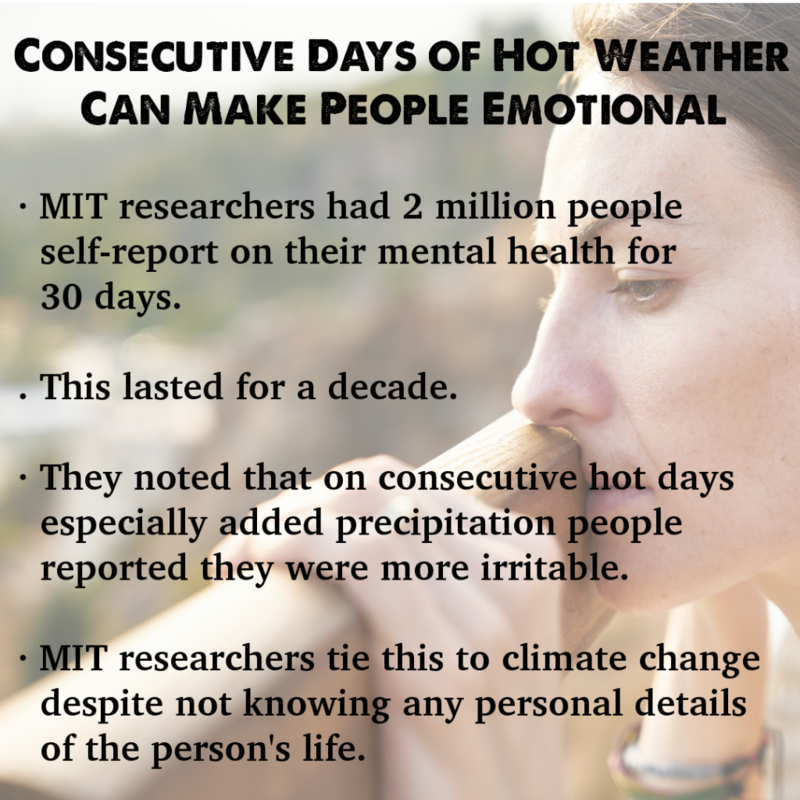 Researchers reportedly noticed an increase of “problems with emotions” during 30 day periods that had temperatures averaging over 86 degrees Fahrenheit. People with low income and women were 60 percent more likely to have emotions tied to weather than those with a higher income and men, respectively, according to the study (Magness, 2018). The report also discovered that a 1.8-degree Fahrenheit increase tends to cause a two percent increase in mental health problems overall. “Our paper — when coupled with evidence that climate change may impact everyday human moods to severe outcomes like suicide — provides further evidence that exposure to heat, on average, worsens mental health outcomes,” said Nick Obradovich, research scientist at the MIT Media Lab and co-author of the new study. 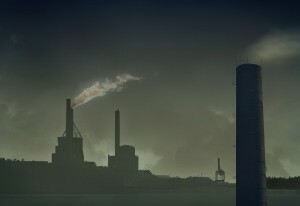 The study also used climate change models to predict anywhere between 9,000 and 40,000 suicides caused by global warming by the year 2050 if nothing is done to stop rising temperatures. Obradovich goes on to say that while this data is relatively compelling he is still unsure of why mood appears to be directly altered by the weather. So what can be done about climate change in its entirety? It’s up to policymakers globally to make a significant dent in the impact of climate change at its current pace. However, there are small steps individuals can take to reduce their own carbon footprint, such as going meatless at least once a week, recycling, and commuting by foot or bike, as opposed to motor vehicle, whenever possible.